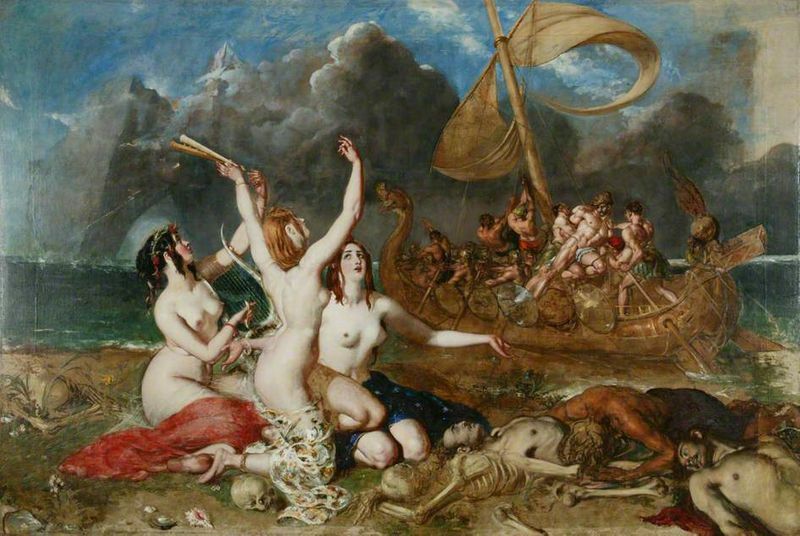 The Sirens and Ulysses by William Etty. The painting depicts the scene from Homer's Odyssey in which Odysseus resists the song of the Sirens. Image from Wikipedia.org.